Heavy Planet presents today's "New Band To Burn One To"...DOPE FLOOD! The Band was formed in the Spring of 2010.Band members are : Manos - Vocals, Cris - Guitar , Asterios - Bass And Bill- Drums.The band plays live shows regulary around Greece and has supported many known Artist such as Innerwish and Planet Of Zeus.In March 2011 the first official release of the band came out,the EP "A Planet On Four Legs" ,which received positive response from music fans and critics(Metal Hammer and many more), has been played and being played by radios and tv shows around Europe, USA And Australia. 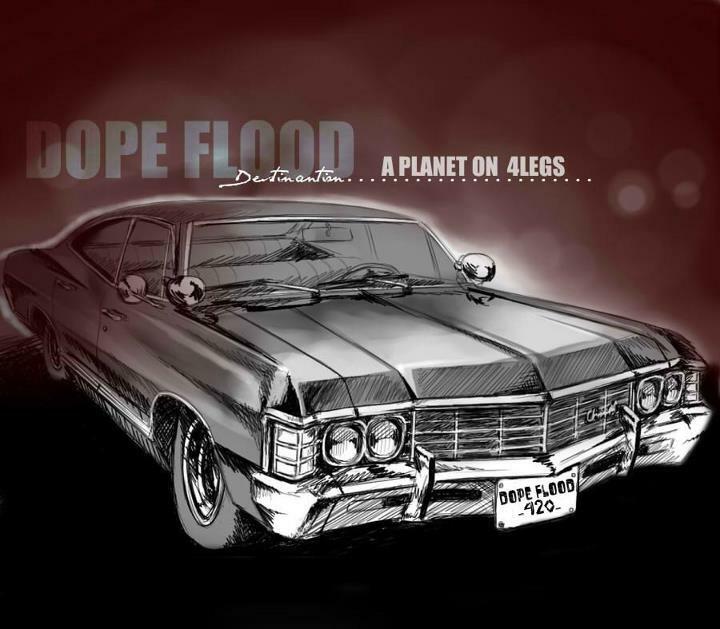 "This EP from Greek band Dope Flood is a fine example of how to do "it" and by "it" I mean ROCK! Dope Flood's sound is an overabundance of heavy rock drenched with a barrage of crunchy guitars, well-sung vocals, and slow head-banging grooves. Vocalist Manos has an amazing vocal sensibility. I was hearing everything from Layne Staley to Jim Morrison, albeit with a snarling grittiness. It is apparent that these guys have the knack for writing some pretty catchy tunes and the production value for a 3-song EP was not too shabby. Check out Dope Flood today!" Great heavy rock from Greece..awesome tracks. add them on my playlist, and i hope soon to hear an album from these guys.